ABSTRACT: Dengue illness is an infectious tropical disease, transmitted by Aedes mosquitos, that poses a serious health threat to the tropical world. This disease causes widespread infection worldwide, with about 50 million cases of dengue occurring per annum out of which 500,000 recorded cases of dengue hemorrhagic fever and 22,000 deaths. Currently, there are no effective vaccines available to prevent the spread of the infection. Accurate and rapid laboratory diagnostic tests are required for early detection to reduce patient mortality rate. In this paper, common laboratory diagnosis methods for detecting dengue virus infection are discussed. Currently, virus isolation, RT-PCR and serology methods provide the most direct and accurate response for detection of dengue. However, these methods require tedious steps, expensive requirements and expert staffs. Recent research have proposed the usage of biosensors as an alternative new technology for detection of dengue. In this work, various types of biosensors such as electrochemical, piezoelectric, and optical biosensor have been described and compared to evaluate their effectiveness in dengue detection. It is observed that the optical biosensor offers the best detection due to its high sensitivity as compared to others, although it is popularly known as an expensive method. Alternatively, the use of electrochemical and piezoelectric biosensors (QCM) is highly recommended for detection of dengue due to their ease-of-use, low cost, low reagent consumption, disposability, and minimal sample preparation. These approaches have the potential to improve the rate of survival, particularly in resource-limited countries. ABSTRAK: Virus denggi adalah penyakit berjangkit tropika bawaan nyamuk Aedes yang menimbulkan ancaman serius kepada kesihatan global. Penyakit ini menyebabkan jangkitan yang meluas di seluruh dunia, dengan kira-kira 50 juta kes denggi yang berlaku setiap tahun di mana 500,000 kes demam denggi berdarah dan 22,000 kematian direkodkan. Buat masa ini, tiada vaksin yang berkesan untuk mencegah penyebaran jangkitan ini. Ujian diagnostik makmal yang cepat dan tepat diperlukan untuk pengesanan denggi awal untuk mengurangkan kadar kematian pesakit. Dalam artikel ini, kaedah diagnosis makmal yang biasa dilakukan untuk mengesahkan jangkitan virus denggi akan dibincangkan. Pada masa kini, kaedah pengasingan virus, RT-PCR dan serologi adalah tindak balas yang paling cepat dan tepat untuk mengesan denggi. Walau bagaimanapun, kaedah-kaedah ini memerlukan langkah-langkah yang melecehkan, kos penyelenggaraan yang tinggi dan kakitangan yang terlatih. Penyelidikan terkini telah mencadangkan penggunaan biosensor sebagai teknologi baru alternatif untuk mengesan denggi. Dalam artikel ini juga pelbagai jenis biosensor seperti biosensor elektrokimia, piezoelektrik, dan biosensor optik telah dijelaskan dan dibandingkan untuk menilai keberkesanannya dalam pengesanan denggi. Difahamkan bahawa biosensor optik menawarkan pengesanan terbaik kerana kepekaannya yang tinggi berbanding dengan yang lain, walaupun ia dikenali sebagai kaedah berkos tinggi. Sebaliknya, biosensor elektrokimia dan piezoelektrik (QCM) sangat disyorkan untuk mengesan denggi kerana ia mudah digunakan, berkos rendah, penggunaan bahan uji yang terhad, boleh dipakai buang, dan mempunyai penyediaan sampel yang minima. Pendekatan-pendekatan ini berpotensi untuk meningkatkan kadar kemandirian di kawasan-kawasan sumber terhad. Ahmad Anwar Zainuddin is a PhD candidate in International Islamic University Malaysia,(IIUM).Â He received his Bachelorâ€™s and Masterâ€™s degree from Department of Electronic and Computer Engineering, International Islamic UniversityMalaysia in 2011 and 2013, respectively. He worked as a MEMS engineer in Silterra Malaysia in 2011, before he becomes a PhD candidate in IIUM in 2015. His research interests include acoustic wave electrochemical biosensors, computational mechanics, structural dynamics, smart materials and structures, and modeling of MEMS devices. Anis Nurashikin Nordin is an associate professor in Electronics Engineering Department, International Islamic University Malaysia. She has a BS degree in Computer and Information Engineering from International Islamic University Malaysia in 1999. She obtained both MS and PhD degrees in Computer Engineering from the George Washington University,Washington, DC, in 2002 and 2008, respectively.Her research area covers personalized healthcare devices, MEMS, BioMEMS, SAW devices, printed electronics, and microfluidics. Rosminazuin Ab Rahim is an assistant professor in Electrical & ComputerEngineering Department, International Islamic University Malaysia. She has a B.Eng (Hons) degree in Electrical & Electronics Engineering from Universiti Sains Malaysia in 1999. She obtained both MSc and PhD degrees in Microelectronics from Universiti Kebangsaan Malaysia, in 2004 and 2012, respectively. Her research area covers MEMS, microfabrication technologies andÂ piezoelectric energy harvester. Gubler, D. J. (2002). Epidemic dengue/dengue hemorrhagic fever as a public health, social and economic problem in the 21st century. Trends in Microbiology, 10(2): 100â€“103. Wilder-Smith, A., Vannice, K. S., Hombach, J., Farrar, J., & Nolan, T. (2016). Population perspectives and World Health Organization recommendations for CYD-TDV dengue vaccine. The Journal of Infectious Diseases, 214(12): 1796â€“1799. Wang, W.K. and Gubler, D.J., (2018). Potential point-of-care testing for dengue virus in the field. Journal of clinical microbiology, 56(5), e00203-18. Liu, L., Dehning, M., Phipps, A., Swienton, R., Harris, C., & Klein, K. (2017). Clinical Update on Dengue, Chikungunya, and Zika: What We Know at the Time of Article Submission. Disaster Medicine and Public Health Preparedness, 11(3): 290-299. Vaughn, D. W., Green, S., Kalayanarooj, S., Innis, B. L., Nimmannitya, S., Suntayakorn, S.,& Nisalak, A. (1997). Dengue in the early febrile phase: viremia and antibody responses. Journal of Infectious Diseases, 176(2): 322-330. Green, S., Vaughn, D. W., Kalayanarooj, S., Nimmannitya, S., Suntayakorn, S., Nisalak, A., & Ennis, F. A. (1999). Early immune activation in acute dengue illness is related to development of plasma leakage and disease severity. The Journal of infectious diseases, 179(4): 755-762. Zhang, B., Salieb-Beugelaar, G. B., Nigo, M. M., Weidmann, M., & Hunziker, P. (2015). Diagnosing dengue virus infection: rapid tests and the role of micro/nanotechnologies. Nanomedicine: Nanotechnology, Biology and Medicine, 11(7): 1745â€“1761. Muller, D. A., Depelsenaire, A. C., & Young, P. R. (2017) Clinical and laboratory diagnosis of dengue virus infection. The Journal of Infectious Diseases, 215.Suppl_2: S89â€“S95. Oliveira, M. D., Nogueira, M. L., Correia, M. T., Coelho, L. C., & Andrade, C. A. (2011). Detection of dengue virus serotypes on the surface of gold electrode based on Cratylia mollis lectin affinity. Sensors and Actuators B: Chemical, 155(2): 789â€“795. Rashid, J. I. A., Yusof, N. A., Abdullah, J., Hashim, U., & Hajian, R. (2016). Surface modifications to boost sensitivities of electrochemical biosensors using gold nanoparticles/silicon nanowires and response surface methodology approach. Journal of Materials Science, 51(2): 1083â€“1097. den, B. G., & Hulanicki, A. (1983). Recommendations for the usage of selective, selectivity and related terms in analytical chemistry. Pure and Applied Chemistry, 55(3): 553â€“556. Persson, B.-A., & Vessman, J. (2001). The use of selectivity in analytical chemistryâ€“Some considerations. TrAC Trends in Analytical Chemistry, 20(10): 526â€“532. Laidler, K. J. (1996). A glossary of terms used in chemical kinetics, including reaction dynamics (IUPAC Recommendations 1996). Pure and Applied Chemistry, 68(1): 149â€“192. Long, G. L., & Winefordner, J. D. (1983). Limit of detection. A closer look at the IUPAC definition. Analytical Chemistry, 55(7): 712Aâ€“724A. Peeling, R. W., Artsob, H., Pelegrino, J. L., Buchy, P., Cardosa, M. J., Devi, S., â€¦ Yoksan, S. (2010, December 1). Evaluation of diagnostic tests: dengue [Comments and Opinion]. Chua, K. B., Mustafa, B., Wahab, A. A. H., Chem, Y. K., Khairul, A. H., Kumarasamy, V., Rasid, A. K. (2011). A comparative evaluation of dengue diagnostic tests based on single-acute serum samples for laboratory confirmation of acute dengue. The Malaysian Journal of Pathology, 33(1): 13-20. Raengsakulrach, B., Nisalak, A., Maneekarn, N., Yenchitsomanus, P., Limsomwong, C., Jairungsri, A.,others. (2002). Comparison of four reverse transcription-polymerase chain reaction procedures for the detection of dengue virus in clinical specimens. Journal of Virological Methods, 105(2): 219â€“232. Darwish, N. T., Alias, Y. B., & Khor, S. M. (2015). An introduction to dengue-disease diagnostics. TrAC Trends in Analytical Chemistry, 67: 45â€“55. Darwish, N. T., Sekaran, S. D., & Khor, S. M. (2017). Point-of-Care Tests: A Review of Advances in the Emerging Diagnostic Tools for Dengue Virus Infection. Sensors and Actuators B: Chemical, 255(3): 3316-3331. Parkash, O., & Shueb, R. H. (2015). Diagnosis of Dengue Infection Using Conventional and Biosensor Based Techniques. Viruses, 7(10): 5410â€“5427. Kong, Y. Y., Thay, C. H., Tin, T. C., & Devi, S. (2006). Rapid detection, serotyping and quantitation of dengue viruses by TaqMan real-time one-step RT-PCR. Journal of Virological Methods, 138(1â€“2):123â€“130. Cavalcanti, I. T., Silva, B. V. M., Peres, N. G., Moura, P., Sotomayor, M. D. P. T., Guedes, M. I. F., & Dutra, R. F. (2012). A disposable chitosan-modified carbon fiber electrode for dengue virus envelope protein detection. Talanta, 91: 41â€“46. Fry, S. R., Meyer, M., Semple, M. G., Simmons, C. P., Sekaran, S. D., Huang, J. X., â€¦ Young, P. R. (2011). The diagnostic sensitivity of dengue rapid test assays is significantly enhanced by using a combined antigen and antibody testing approach. PLoS Neglected Tropical Diseases, 5(6): e1199. Watthanaworawit, W., Turner, P., Turner, C. L., Tanganuchitcharnchai, A., Jarman, R. G., Blacksell, S. D., & Nosten, F. H. (2011). A prospective evaluation of diagnostic methodologies for the acute diagnosis of dengue virus infection on the Thailand-Myanmar border. Transactions of the Royal Society of Tropical Medicine and Hygiene, 105(1): 32â€“37. Wright, W. F., & Pritt, B. S. (2012). Update: The diagnosis and management of dengue virus infection in North America. Diagnostic Microbiology and Infectious Disease, 73(3):215â€“220. Chutinimitkul, S., Payungporn, S., Theamboonlers, A., & Poovorawan, Y. (2005). Dengue typing assay based on real-time PCR using SYBR Green I. Journal of Virological Methods, 129(1): 8â€“15. Sirivichayakul, C., Sabchareon, A., Limkittikul, K., & Yoksan, S. (2014). Plaque reduction neutralization antibody test does not accurately predict protection against dengue infection in Ratchaburi cohort, Thailand. Virology Journal, 11(1): 48. Balmaseda, A., GuzmÃ¡n, M. G., Hammond, S., Robleto, G., Flores, C., TÃ©llez, Y., â€¦ Sandoval, E. (2003). Diagnosis of dengue virus infection by detection of specific immunoglobulin M (IgM) and IgA antibodies in serum and saliva. Clinical and Diagnostic Laboratory Immunology, 10(2): 317â€“322. F. R. R., Prazeres, D. M. F., & Lima-Filho, J. L. (2005). Trends in dengue diagnosis. Reviews in Medical Virology, 15(5): 287â€“302. Thiha, A., & Ibrahim, F. (2015). A colorimetric enzyme-linked immunosorbent assay (ELISA) detection platform for a point-of-care dengue detection system on a lab-on-compact-disc. Sensors, 15(5): 11431â€“11441. Miserere, S., & MerkoÃ§i, A. (2015). Microfluidic Electrochemical Biosensors: Fabrication and Applications. In Lab-on-a-Chip Devices and Micro-Total Analysis Systems, Springer. pp 141â€“160. Zainuddin, A. A., Nordin, A. N., Rahim, R. A., Ralib, A. A. M., Khan, S., Guines, C., â€¦ Pothier, A. (2018). Verification of Quartz Crystal Microbalance Array using Vector Network Analyzer and OpenQCM. Indonesian Journal of Electrical Engineering and Computer Science, 10(1): 84â€“93. Katz, E., & Willner, I. (2003). Probing biomolecular interactions at conductive and semiconductive surfaces by impedance spectroscopy: routes to impedimetric immunosensors, DNA-sensors, and enzyme biosensors. Electroanalysis, 15(11): 913â€“947. Cecchetto, J., Carvalho, F. C., Santos, A., Fernandes, F. C., & Bueno, P. R. (2015). An impedimetric biosensor to test neat serum for dengue diagnosis. Sensors and Actuators B: Chemical, 213:150â€“154. Sinawang, P. D., Rai, V., Ionescu, R. E., & Marks, R. S. (2016). Electrochemical lateral flow immunosensor for detection and quantification of dengue NS1 protein. Biosensors and Bioelectronics, 77:400â€“408. Singhal, C., Pundir, C. S., & Narang, J. (2017). A genosensor for detection of consensus DNA sequence of Dengue virus using ZnO/Pt-Pd nanocomposites. Biosensors and Bioelectronics, 97:75â€“82. Bao, Z., Yuan, Y., Leng, C., Li, L., Zhao, K., & Sun, Z. (2017). One-pot synthesis of noble metal/zinc oxide composites with controllable morphology and high catalytic performance. ACS Applied Materials & Interfaces, 9(19): 16417â€“16425. Navakul, K., Warakulwit, C., Yenchitsomanus, P., Panya, A., Lieberzeit, P. A., & Sangma, C. (2017). A novel method for dengue virus detection and antibody screening using a graphene-polymer based electrochemical biosensor. Nanomedicine: Nanotechnology, Biology and Medicine, 13(2): 549â€“557. A. Arnau (2004), Piezoelectric transducers and applications, Springer. Switzerland. Pirich, C. L., de Freitas, R. A., Torresi, R. M., Picheth, G. F., & Sierakowski, M. R. (2017). Piezoelectric immunochip coated with thin films of bacterial cellulose nanocrystals for dengue detection. Biosensors and Bioelectronics, 92: 47â€“53. Salim, Z. T., Hashim, U., Arshad, M. K. M., Fakhri, M. A., & Salim, E. T. (2017). Frequency-based detection of female Aedes mosquito using surface acoustic wave technology: Early prevention of dengue fever. Microelectronic Engineering, 179: 83â€“90. Jahanshahi, P., Zalnezhad, E., Sekaran, S. D., & Adikan, F. R. M. (2014). Rapid immunoglobulin M-based dengue diagnostic test using surface plasmon resonance biosensor. Scientific Reports, 4: 3851. Kamil, Y. M., Bakar, M. A., Mustapa, M. A., Yaacob, M. H., Abidin, N. H. Z., Syahir, A., Mahdi, M. A. (2018). Label-free Dengue E protein detection using a functionalized tapered optical fiber sensor. Sensors and Actuators B: Chemical, 257: 820â€“828. 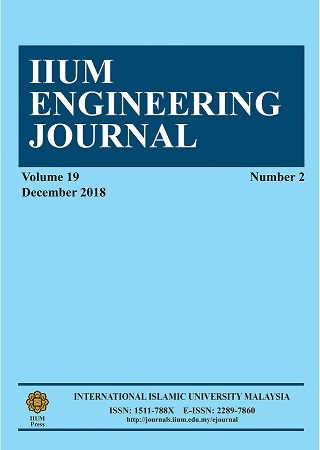 Jahanshahi, P., Wei, Q., Jie, Z., Ghomeishi, M., Sekaran, S. D., & Mahamd Adikan, F. R. (2017). Kinetic analysis of IgM monoclonal antibodies for determination of dengue sample concentration using SPR technique. Bioengineered, 8(3): 239â€“247. Rich, R. L., & Myszka, D. G. (2004). Why you should be using more SPR biosensor technology. Drug Discovery Today: Technologies, 1(3): 301â€“308.